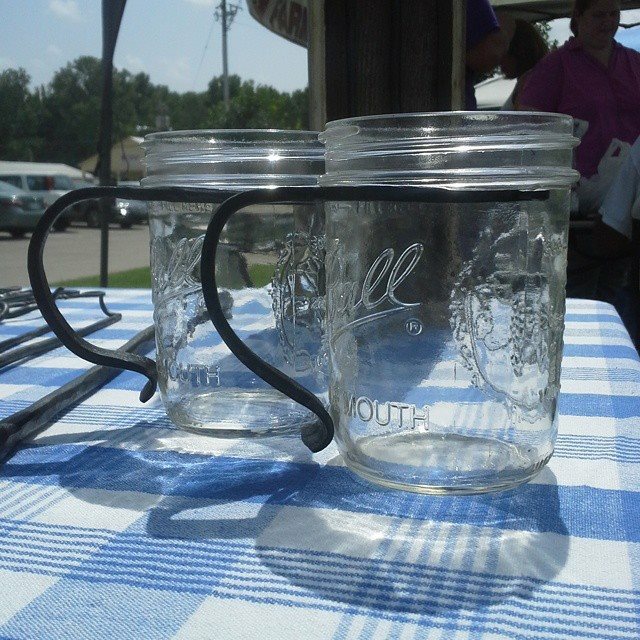 These rustic, hand-forged handles are removeable for easy cleaning. 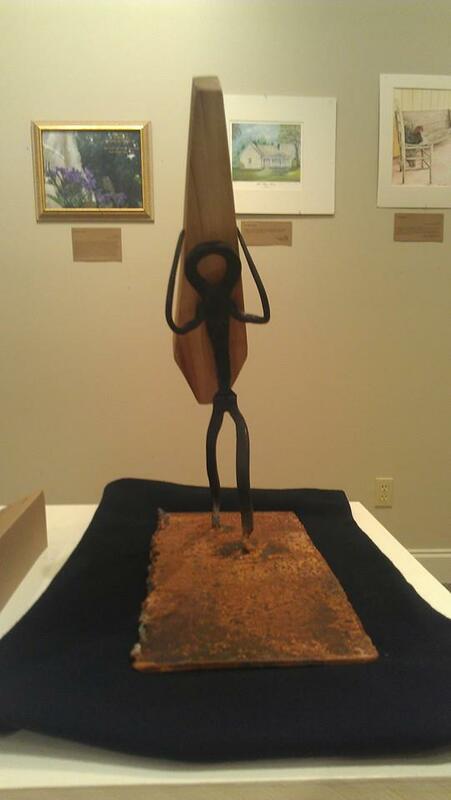 Wall-hanging sculpture inspired by Greek mythology. 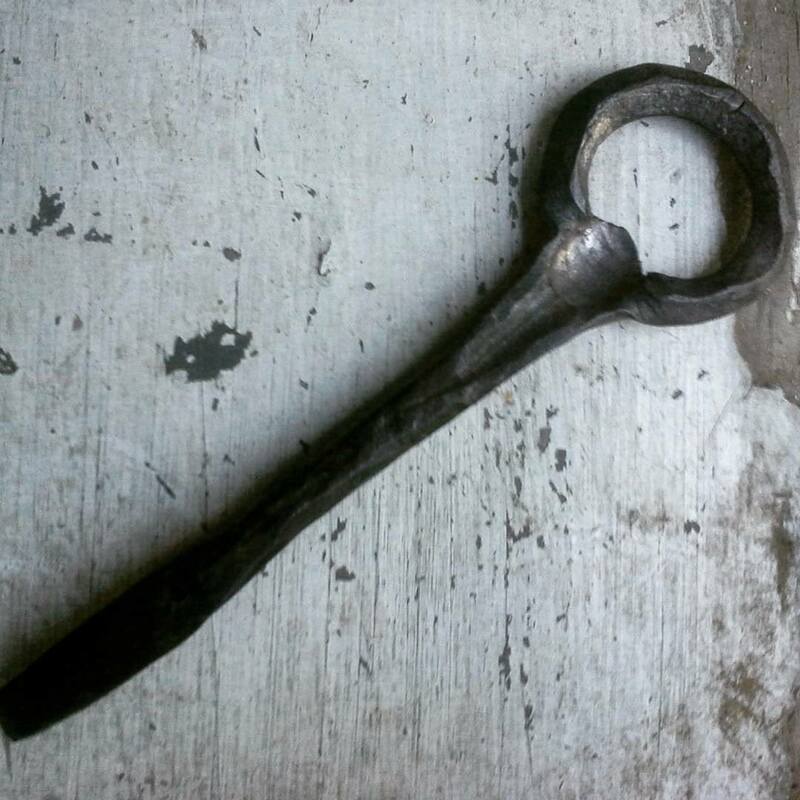 Based on the bottle opener used by my grandfather to open bottles of soda when I was a kid, this is my favorite design. 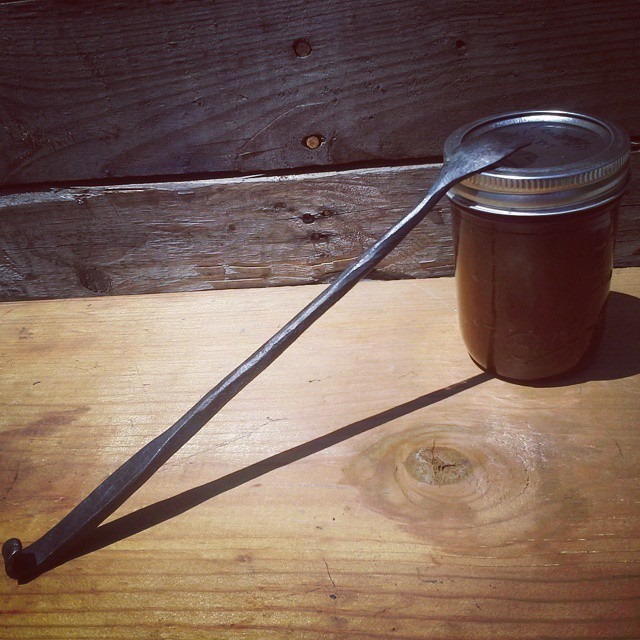 These hand-forged spoons have extra long handles to help you get that last bit of goodness out of the jar. 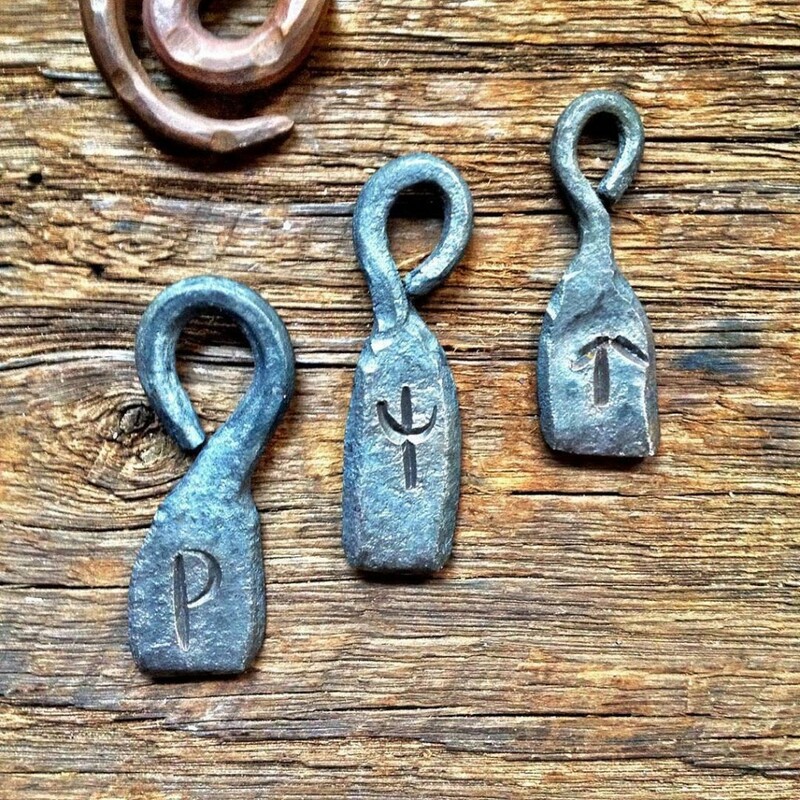 These simple pendants have a hand-stamped runic symbol on each. The stamps used to create the symbols were also hand-made. 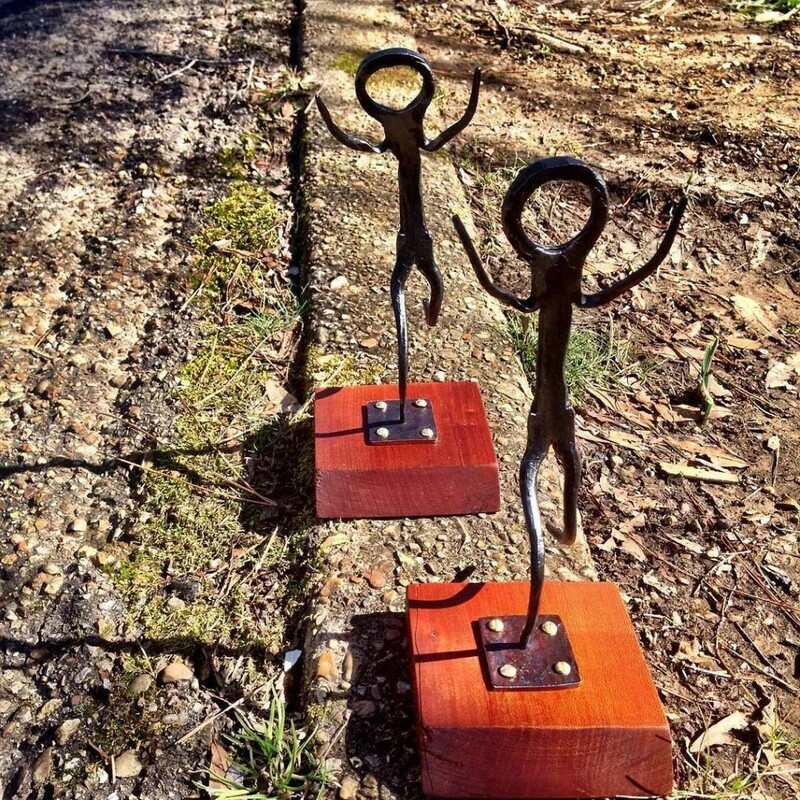 Small sculptures created as trophies for a local race. 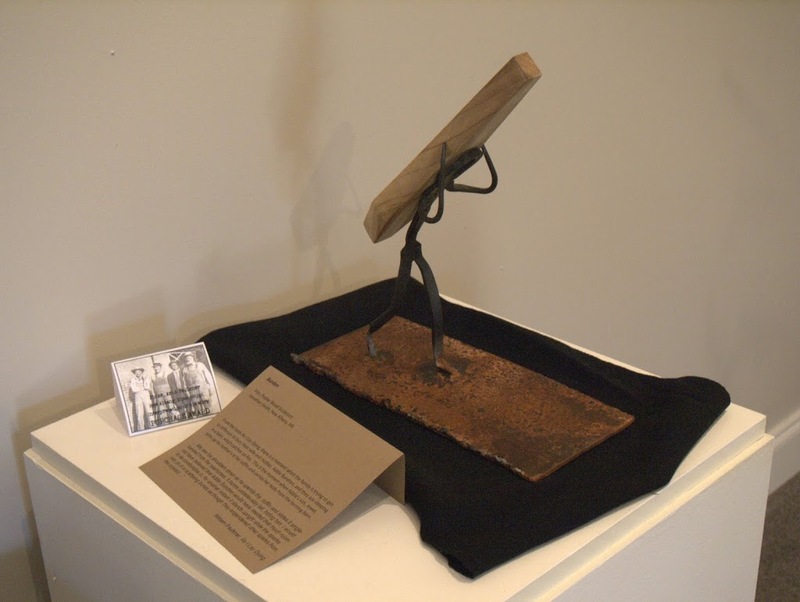 This sculpture is inspired by Faulkner's "As I Lay Dying" and is currently in the collections of the Union County Heritage Museum. 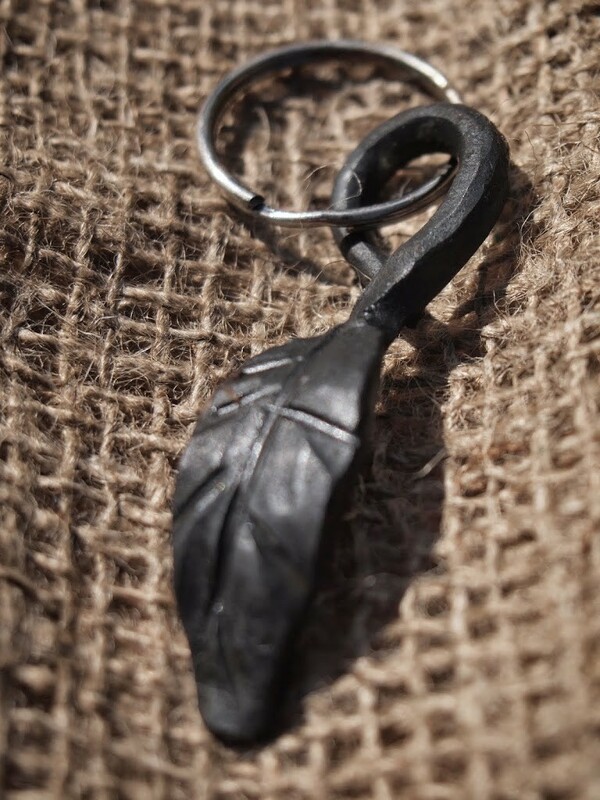 A simple leaf key ring. 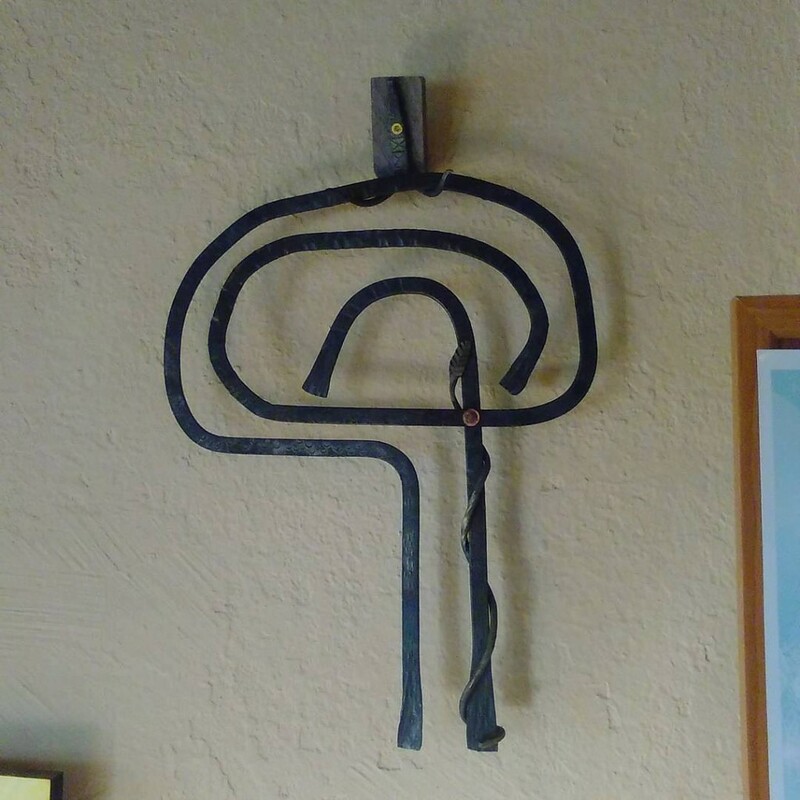 Sweetgum Forge · Sweetgum Forge produces hand-forged steel and copper pieces.